Home › Events › Kidz Club is Back! 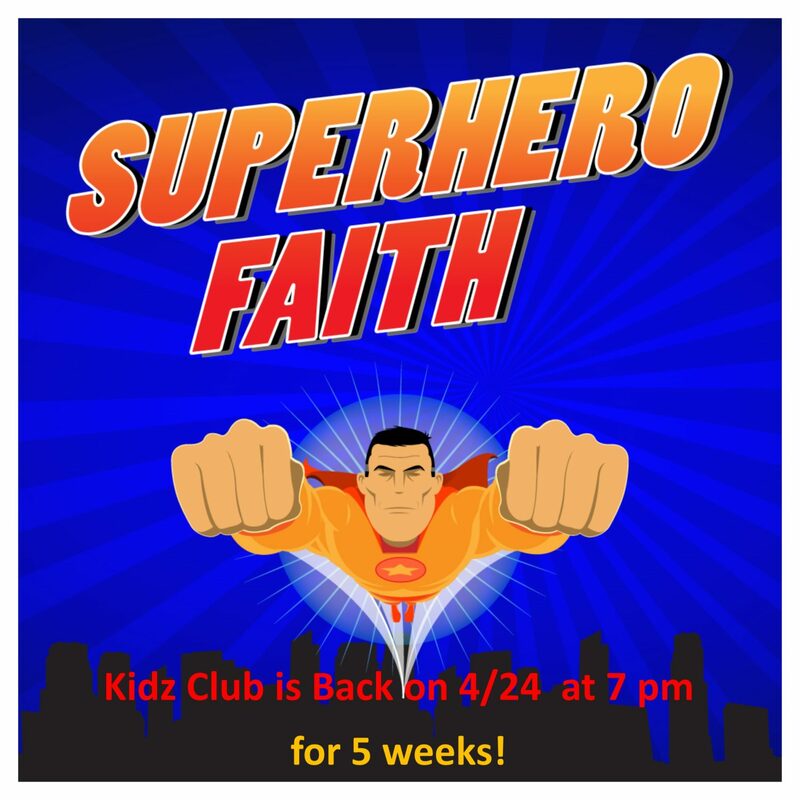 Kidz Club is back on April 24th at 7 pm for 5 Weeks! The kids are not going to want to miss this series! Super heroes of the Bible! Sign up in the Narthex today for this fun 5 week course!